We are committed to ongoing evaluation and analysis of our programs to help shape the School’s future direction and identify the opportunities where the UC Berkeley School of Public Health can make the greatest impact on health. The School is currently engaged in three processes toward that aim. The School has developed a strategy that will shape who we are, what we do, and why we do it. In the process, we reached out to internal and external stakeholders to help determine the School’s future direction. Learn more and view the 2015-2020 Strategy. In 2015, the UC Berkeley School of Public Health was engaged in the reaccreditation process. The Council on Education for Public Health (CEPH) is an independent agency, recognized by the U.S. Department of Education to accredit schools of public health. CEPH’s accreditation procedures require that we periodically undertake a self-evaluation and submit a self-study document prior to a site visit by a team of qualified peer reviewers. The final Accreditation Self-Study Report was sent to the reviewers and to CEPH in August 2015. Our site visit was held September 30 through October 2, 2015. The CEPH Board of Councilors acted at its June 15-18, 2016 meeting to accredit the UC Berkeley School of Public Health for a seven-year term, extending to July 1, 2023. Learn more and review the accreditation documents. Regular peer reviews of each academic unit ensure that the Berkeley standard of excellence is maintained, and that schools and departments have the opportunity to plan strategically for the future. Unit reviews sharpen focus on program areas in which excellence can be maintained or improved with the most effective use of available resources. They are a critical part of the long-range planning activities of the campus and inform decisions on priorities and future programmatic directions. Learn more. Learn about the Council on Education for Public Health, the accrediting agency for schools of public health. Regular peer reviews ensure that the Berkeley standard of excellence is maintained across academic areas. 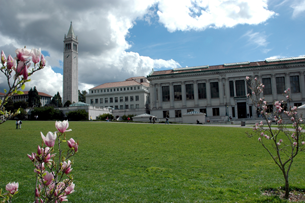 Find out about UC Berkeley Academic Program Reviews.